Why India? Wildlife: tigers, rhinos, Indian wild dogs, elephants. Diverse landscapes. Culture. 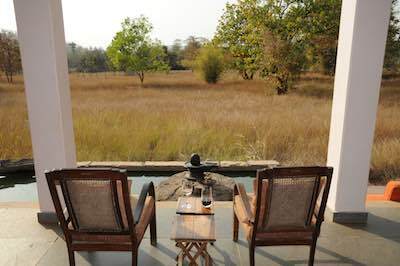 Here is a selection of our India Safaris & Extensions. Of course, there are lots of options & permutations... so contact us to tailor-make a safari just for you. Tigers - best chance to see the world's biggest cat in the wild. This fast-disappearing cat is critically endangered, and strikingly beautiful. 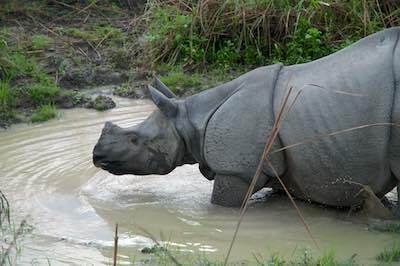 Rhinos - see critically endangered, amour-plated Indian one-horned rhino. 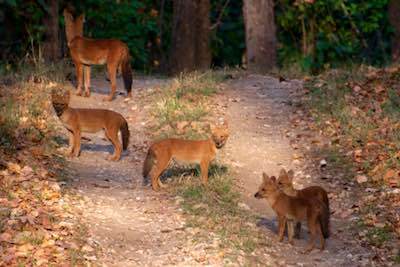 Indian Wild Dogs (dhole) rusty red, with large rounded ears. 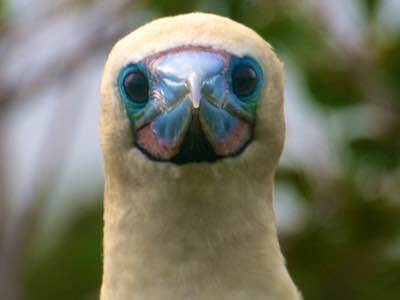 They are highly sociable & live in family groups. Endangered. Asian Elephants - a rare & beautiful sight: wild Asian elephants in their natural habitat. 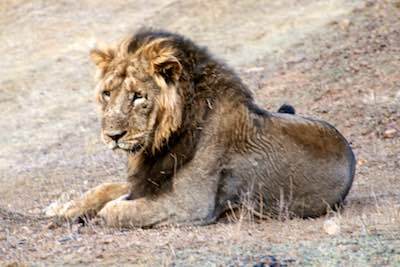 Asiatic lions - Asia's last remaining lions can be seen only in Sasan Gir National Park. 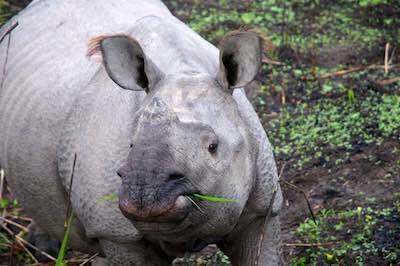 Critically endangered. Leopards - shy, elusive, beautiful big cats. 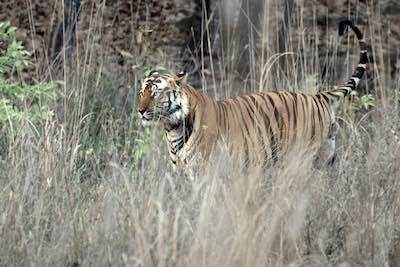 Highlights: Tigers & Wild Dogs in central India's jungles & open plains. Is this for me? For those that want to maximise wildlife viewing & minimise travel time. 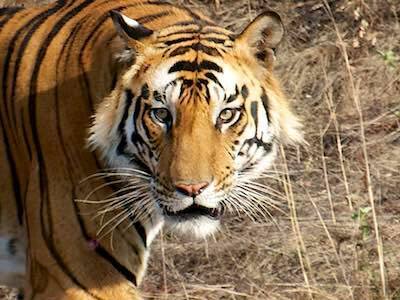 Bandhavgarh: famed for high tiger densities & sightings - it's one of the best places in the world to see wild tigers. 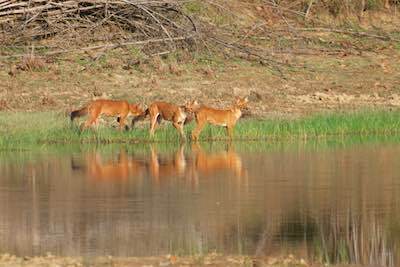 Kanha: Your best chance of seeing the enigmatic Indian Wild Dogs (also known as Dhole). 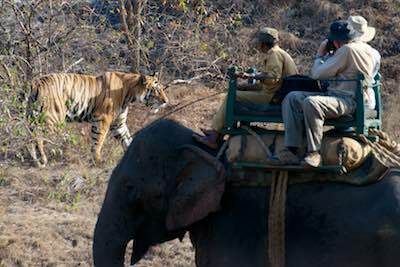 Opportunity to see tigers from elephant-back. 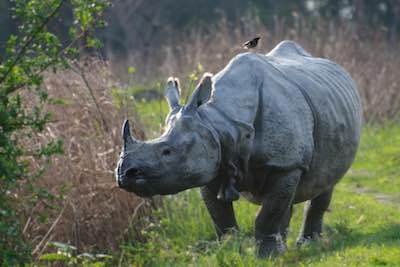 See other unique Indian wildlife in these parks: sloth bear, jungle cat, porcupine, Chital deer, Sambar deer, Gaur (Blue Bull), & even the elusive leopard. 1 Arrive in Mumbai and transfer to your hotel. Relax & prepare for the coming days of adventure. 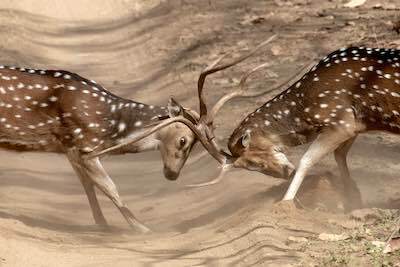 3 Morning & afternoon game drives in Bandavgarh. 6 Early morning game drive, and a chance to spot tigers from elephant back. Continue your drive and search for the sometimes elusive Indian Wild Dogs. Watch the pack of adults & youngsters at play, rest, or even hunting. 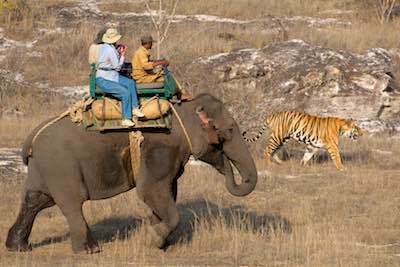 Highlights: Tigers, Asiatic one-horned Rhino & Wild Asiatic Elephants. Is this for me? For those that want diverse wildlife, ecosystems, and enjoy the extra travel. 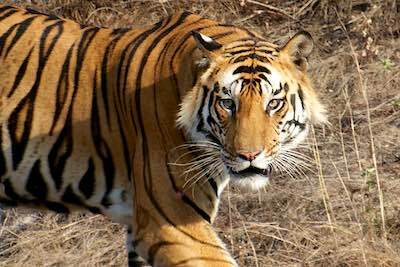 Bandhavgarh: famed for high tiger densities & sightings - it's one of the best places in the world to see tigers. 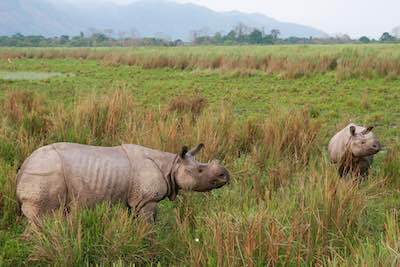 Kaziranga: Wild & remote in India's north eastern corner. Best place to see Asiatic one-horned Rhino - by vehicle, and on elephant-back, sailing through a sea of green elephant-grass. 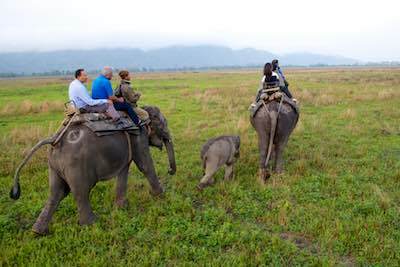 Also excellent for seeing herds of wild & magnificent Asian elephants. 5 After breakfast, transfer to Khajuraho Airport. Fly from Khajuraho to Delhi. 7 Early morning elephant back safari to see the beautiful Asiatic one-horned rhinos up close. Their skin folds are such that they look like they are amour-plated tanks! 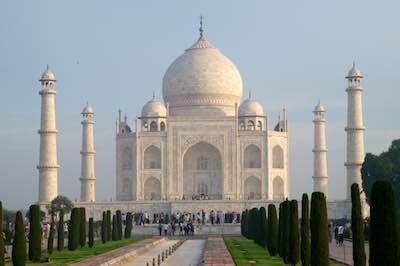 Want to see India's most famous building, & a world wonder? One of the most famous buildings in the world - and it really is awe-inspiringly beautiful. It's best enjoyed in the early morning tranquility, or the late afternoon for the beautiful colours. The drive from Delhi to Agra City takes around 2-3 hours. 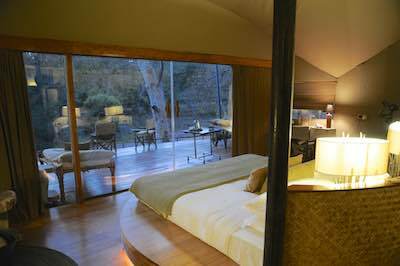 Incl transfers, accommodation, guided sight-seeing, entrance fees & breakfast. From $475 pp for 2 nights. 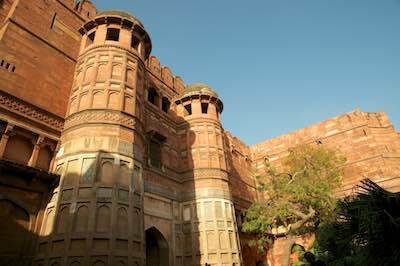 Want to see the highlights of India's former Moghul empire? 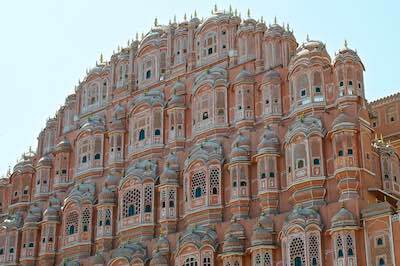 New Delhi - Agra (Taj Mahal) - Jaipur (the Pink City). 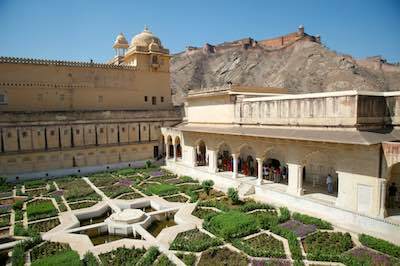 Northern India was once home to powerful Mogul Kings, who built beautiful, majestic buildings with intricate detail - from Delhi's Red Fort, to Agra's Taj Mahal & Jaipur's Hawa Mahal & Amber Fort. From $975 pp for 4 nights. Want to see Asia's last remaining lions in the wild? See this critically endangered species, which occurs only in Gir National Park in India's dry west. 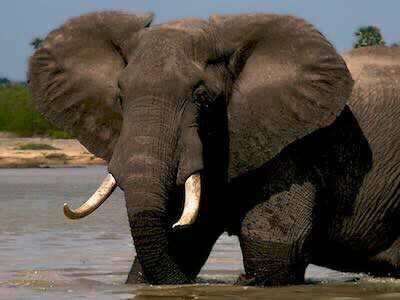 Hunted almost to extinction in the early 1900s, the species has made a remarkable recovery to 400 animals today. However, it continues to face serious threats from habitat destruction, and is extremely vulnerable as it occurs nowhere other than these dry forests of Gir. 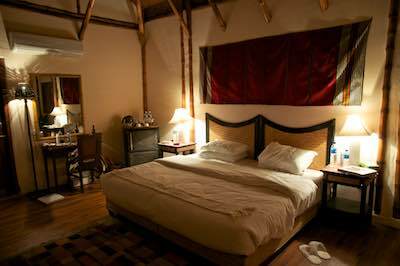 Incl flights, transfers, accommodation, shared guided game drives, entrance fees, breakfast, lunch, dinner. 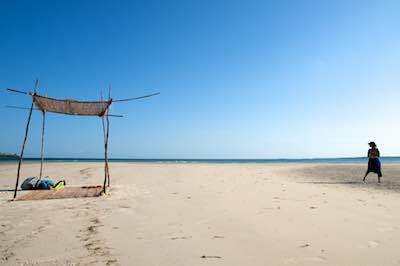 From $998 pp for 3 nights. India is a huge country packed full of interesting and exciting things to see & do - so if there's something that's caught your eye, just let us know, and we'll organise it for you! The long answer: The World's wildlife & wilderness destinations are often expensive because of strict government controls, high park fees & complex logistics. Amongst other things, it also depends on accommodation quality, location & exclusivity; what type of vehicles are used; whether you're flying around a lot; and how many days you spend in-country. Seasons shown here are based on accommodation pricing, which is based on holiday seasons. 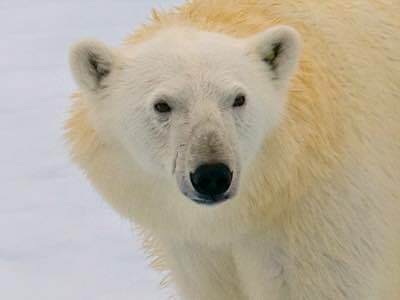 For wildlife seasons & the best time to go, see our "Seasons" tab. which tend to be on the simpler/ larger side. 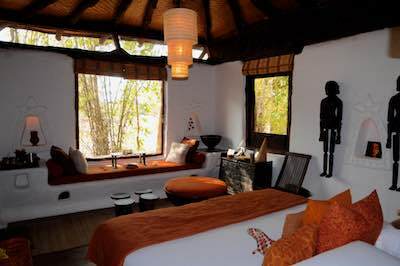 Inclusions: All your accommodation, most meals, wildlife viewing activities in safari vehicle with Driver/Guide, all internal flights, all airport transfers. Exclusions: International airfares to & from your chosen destination. Visa fees, personal & travel insurance, excursions not specified, drinks unless specified, laundry, telephone or internet costs, gratuities, and all other personal expenses. Some airports now charge safety fees, which are payable directly at each airport upon departure. In India, at many historic monuments, as well as in National Parks, you may be required to pay a video &/or still camera fee. These vary and can only be paid directly at the gate. Q: When is the best time to go to India? A: It depends on what you want to see & experience, and how comfortable you are with hot and often humid conditions! We recommend wildlife viewing in India from December through to June. 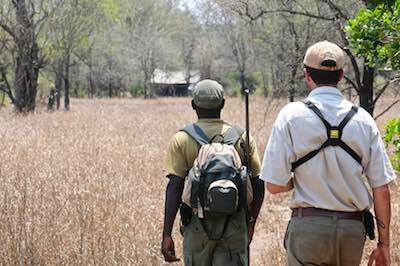 Wildlife viewing is good throughout the dry season, getting better later in the season as the vegetation dies back. The cooler months are more comfortable for travel. The hotter months (and we mean HOT!) are for the serious wildlife lover, when the wildlife viewing can be spectacular. If you're constrained to travelling at a particular time, don't worry: we'll recommend the best places & parks to visit at that time. If you have specific interests - such as seeing tigers, rhinos, elephants, lions or wild dogs - then you do need to travel at the right time of year, AND to the right destination. For wildlife viewing in India, the Indian National Parks are open from the end of October to the end of June. The most pleasant time to travel in India is between December & February. These months usually have the most comfortable temperature range. February, March & early April are the optimum months for wildlife viewing - this takes into account the wildlife movements, missing the monsoon & avoiding the heat! For 'hard-core' wildlife photographers & videographers, May & June are excellent months, however the temperatures are high (as high as 45C/ 115F, or more)! 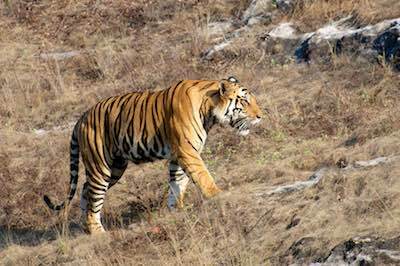 There are a number of different National Parks in India where you can explore for tigers - Bandavgarh, Kanha, Ranthambore, Corbett, & Kaziranga are the most well known. For wildlife viewing, February to June is best, as animals concentrate around water holes as vegetation dies down & due to the higher temperatures. The later in the season you can go, the better! However, by May the temperature is usually too hot for most people, with temperatures in the mid to high 40s, Centigrade (105-115F). We recommend rhino viewing from November through to mid April. 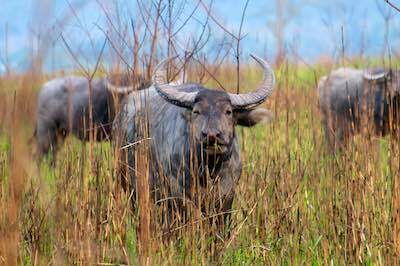 The best time is around February to March as the India National Parks authority usually do controlled burning in January, so the grass is shorter, making it easier to see wildlife. 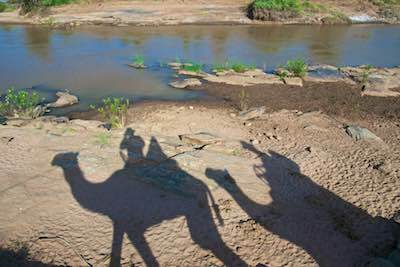 Whenever you choose to travel, rest assured that when you choose to travel with us, we will advise you of the best safari locations, safari seasons and safari dates for your particular interests.